The Republican majority of the House Permanent Select Committee on Intelligence released an over 250-page report Friday outlining its months-long investigation into Russian meddling in the 2016 presidential election. The full report, the key findings of which were published in March, finds that the Trump campaign did not collude with Russia. But it shouldn’t be held up as any sort of evidence of the president’s innocence—even though Trump and his political allies have already begun to use it as such. The committee’s Democrats argue that the investigation was not carried out in good faith. Their Republican counterparts don’t dispute that Moscow wanted to influence the election, but say they couldn’t find direct evidence that Putin helped Trump win. The question, though, is whether they really tried to look. The heavily redacted report doesn’t absolutely excuse Trump and his associates for their contacts with Russians. It does call the communications between Trump campaign associates and Wikileaks “ill-advised.” The committee also says it has “concerns” that Carter Page, a former Trump foreign policy advisor, may have given an incomplete account of his activities in Moscow in 2016. It also found that Jared Kushner, Donald Trump Jr., and Paul Manafort attended a meeting on June 9 at Trump Tower where they expected to receive dirt on Hillary Clinton, but did not. That finding appears to contradict the written testimony Kushner submitted to Congress. Whatever criticisms the report contained mostly targeted Democrats and intelligence agencies, including Barack Obama’s administration for its “slow and inconsistent” response to Russia’s meddling efforts, as well as the FBI, for inadequately notifying victims of Russian hacking. The report also scolds the surveillance of former Trump campaign advisor Carter Page, an incident which has become a mainstay for the Republican majority of the committee, chaired by California Republican Devin Nunes. 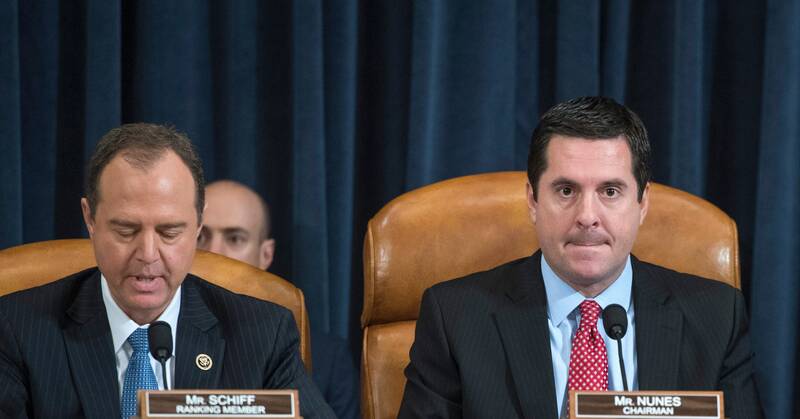 If that name sounds familiar, that’s because Nunes is the guy behind the largely underwhelming FISA memo, which purported to show that federal law enforcement officials abused their surveillance powers in investigating Page. That’s the same memo that spawned the #ReleaseTheMemo movement back in February. Nunes is a notorious presidential ally who has repeatedly visited the White House. In a dissenting memo published alongside the key findings in March, the Democratic minority of the committee accused Republicans of engaging in a “systematic effort to muddy the waters, and to deflect attention away from the President.” The Democrats argue the investigation was ended prematurely and failed to interview key witnesses, including Reince Priebus, Trump’s former chief of staff, as well as Stephen Miller, the president’s current senior policy advisor. “The House investigation was beset by partisan overtones from the beginning. Representative Nunes, chair of the committee, took every opportunity to act as an apologist for the Trump White House and to dismiss both the seriousness of Russian intervention in the election and the possible involvement of Trump campaign personnel,” says William C. Banks, the director of the Institute for National Security and Counterterrorism at Syracuse University College of Law. While the House’s investigation into Russian meddling may be over, revelations about the Trump campaign’s potential involvement with Russia continue to pile up. The report’s findings come as special counsel Robert Mueller’s team has already secured guilty pleas from several of Trump’s associates, including Rick Gates and George Papadopoulos. The same day the report came out, a federal judge also threw out a lawsuit from former Trump campaign chairman Paul Manafort challenging the scope of Mueller’s investigation. The Senate Intelligence Committee is also moving forward with its own investigation into Trump’s dealings with Russia. However much the president may feel that the House’s report exonerates him, it’s far from the last word.